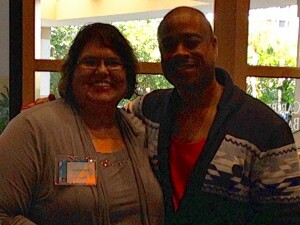 I was honored to meet celebrity chef Charles Mattocks this past weekend at the Beyond Healthy Chocolate Conference in Fort Lauderdale, Florida. He is a humble, caring man who is clearly passionate about stopping the spread of diabetes. He is an advocate for diabetics everywhere. “Inspired by his uncle, the late Bob Marley, Mattocks dared to dream big. After giving a stunning performance in the title role of the Emmy nominated “The Summer of Ben Tyler” Mattocks could have continued as a successful actor. Instead this single dad decided the Hollywood lifestyle was not the best for his young son and moved across the country. His need to create meals that were tasty, nutritious, and affordable led to his career as “The Poor Chef”. He knew that medication first was not the only option in treating diabetes. He was introduced to Healthy Chocolate and felt that it had made a significant difference in treating his diabetes. His new movie, a Diabetes Documentary called “Trial By Fire“, is already winning awards. He continues to work tirelessly as a Diabetes advocate. Beyond Healthy Chocolate Co. has been around for ten years. Founded by CEO Jeanette Brooks who is also a diabetic. She had been told by her doctor that the amount of insulin she was taking was not sustainable if she wanted to see her children and grandchildren grow up. Her passion in helping those with Diabetes was the catalyst for the creation of Healthy Chocolate. Healthy Chocolate is not candy. It is a cold pressed chocolate sweetened with Acai and Blueberry that is diabetic friendly. 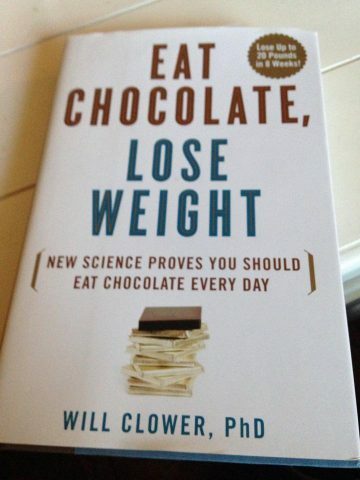 It is the healthiest chocolate in the world. This high antioxidant cold pressed chocolate is not like any chocolates you find in the stores. Try this patented Beyond Healthy Chocolate yourself. PreviousFree Bill O’Reilly Tip Of The Day Healthy Energy Drink Promo For Beyond Xe Through 1/3; Better Pricing Than Amazon or Ebay!